For every friendly robot we see in science fiction such as Star Wars‘s C3PO, there are others with a more sinister reputation that you can find in films such as I, Robot. Indeed, most movie robots can be classified into a range of archetypes and purposes. Science boffins at Cambridge University have taken the unusual step of evaluating the exact risks of humanity suffering from a Terminator-style meltdown at the Cambridge Project for Existential Risk. “Robots On the Run” is currently an unlikely scenario, so don’t stockpile rations and weapons in panic just yet. But with machine intelligence continually evolving, developing and even crossing thresholds of creativity and and language, what holds now might not in the future. Robotic technology is making huge advances in great part thanks to the efforts of Japanese scientists and Robot Wars. For the time being, the term AI (artificial intelligence) might sound like a Hollywood invention (the term was translated by Steven Spielberg in a landmark film, after all), but the science behind it is real and proliferating in terms of capability and application. Robots can now “learn” things through circuitry similar to the way humans pick up information. 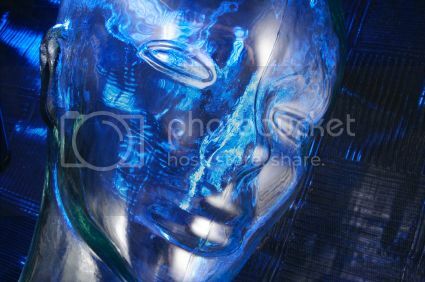 Nevertheless, some scientists believe that there are limits to the level of intelligence that robots will be able to achieve in the future. In a special ScriptPhD review, we examine the current state of artificial intelligence, and the possibilities that the future holds for this technology. Last Call at the Oasis film poster ©2012, Participant Media, all rights reserved. Watching the devastation and havoc caused by Hurricane Sandy and several recent water-related natural disasters, it’s hard to imagine that global water shortages represent an environmental crisis on par with climate change. But if current water usage habits do not abate, or if major technological advances to help recycle clean water are not implemented, this is precisely the scenario we are facing—a majority of 21st Century conflicts being fought over water. From the producers of socially-conscious films An Inconvenient Truth and Food, Inc., Last Call at the Oasis is a timely documentary that chronicles current challenges in worldwide water supply, outlines the variables that contribute to chronic shortages and interviews leading environmental scientists and activists about the ramifications of chemical contamination in drinking water. More than just an environmental polemic, Last Call is a stirring call to action for engineering and technology solutions to a decidedly solvable problem. A ScriptPhD.com review under the “continue reading” cut. Official Looper film poster, and all movie stills below, ©2012 Sony Pictures Entertainment, all rights reserved. In the year 2042, time travel has not yet been invented. But by the year 2072, that is no longer the case. Nevertheless, it is outlawed, inaccessible to all but the most powerful and violent gangs in an economically repressed dystopia. Due to scientific advances of that era, it is impossible to dispose of a body without a trace, so the criminal gangs use the time travel to execute their trash, sending the bodies back in time to be executed by hit men called Loopers. The body vanishes from the future, but never existed in the present. Unless something goes terribly awry. 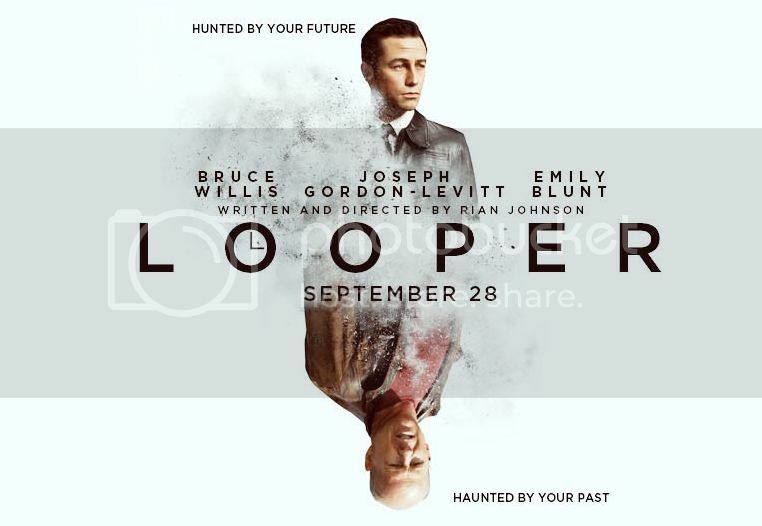 Such is the setup of Rian Johnsons bleak, brilliant sci-fi film Looper, a shrewd commentary on how we use technology, the value of a human life and whether a destiny can be changed. It is easily the best sci-fi film since 2010s Inception, and surely one of the best of this year in any genre. Full ScriptPhD review, below. Comic-Con and the Business of Pop Culture ©2012 McGraw Hill Professional, all rights reserved. This past weekend, over 130,000 people descended on the San Diego Convention Center to take part in Comic-Con 2012. Each year, a growing amalgamation of costumed super heroes, comics geeks, sci-fi enthusiasts and die-hard fans of more mainstream entertainment pop culture mix together to celebrate and share the popular arts. 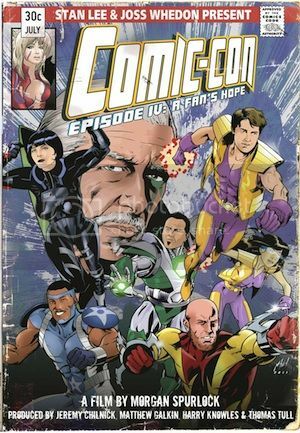 Some are there to observe, some to find future employment and others to do business, as beautifully depicted in this year’s Morgan Spurlock documentary Comic-Con Episode IV: A Fan’s Hope. But Comic-Con San Diego is more than just a convention or a pop culture phenomenon. It is a symbol of the big business that comics and transmedia pop culture has become. It is a harbinger of future profits in the entertainment industry, which often uses Comic-Con to gauge buzz about releases and spot emerging trends. And it is also a cautionary tale for anyone working at the intersection of television, film, video games and publishing about the meteoric rise of an industry and the uncertainty of where it goes next. 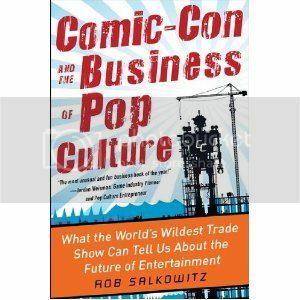 We review Rob Salkowitz’s new book Comic-Con and the Business of Pop Culture, an engaging insider perspective on the convergence of geekdom and big business. Earlier this year, the Susan G. Komen Foundation made headlines around the world after their politically-charged decision to cut funding for breast cancer screening at Planned Parenthood caused outrage and negatively impacted donations. Despite reversing the decision and apologizing, many people in the health care and fund raising community feel that the aftermath of the controversy still dogs the foundation. Indeed, Advertising Age literally referred to it as a PR crisis. If all of this sounds more like spin for a brand rather than a charity working towards the cure of a devastating illness, it’s not far from the truth. Susan G. Komen For the Cure, Avon Walk For Breast Cancer and the Revlon Run/Walk For Women represent a triumvirate hegemony in the “pink ribbon” fundraising domain. Over time, their initial breast cancer awareness movement (and everything the pink ribbon stood for symbolically) has moved from activism to pure consumerism. The new documentary Pink Ribbons, Inc. deftly and devastatingly examines the rise of corporate culture in breast cancer fundraising. Who is really profiting from these pink ribbon campaigns, brands or people with the disease? How has the positional messaging of these “pink ribbon” events impacted the women who are actually facing the illness? And finally, has motivation for profit driven the very same companies whose products cause cancer to benefit from the disease? ScriptPhD.com’s Selling Science Smartly advertising series continues with a review of Pink Ribbons, Inc..
Prometheus poster and stills ©2012 20th Century Fox, all rights reserved. It has been three decades since Ridley Scotts acclaimed sci-fi masterpiece Blade Runner practically reinvented the genre, and he has not made another sci-fi film since. The reason I havent made another sci-fi film in so may years, he says is because I havent come across anything worthwhile for me to do with enough truth, originality and strength. Prometheus has all three. With such heightened expectations, one would expect a bold, daring, all-encompassing storyline from Scott. 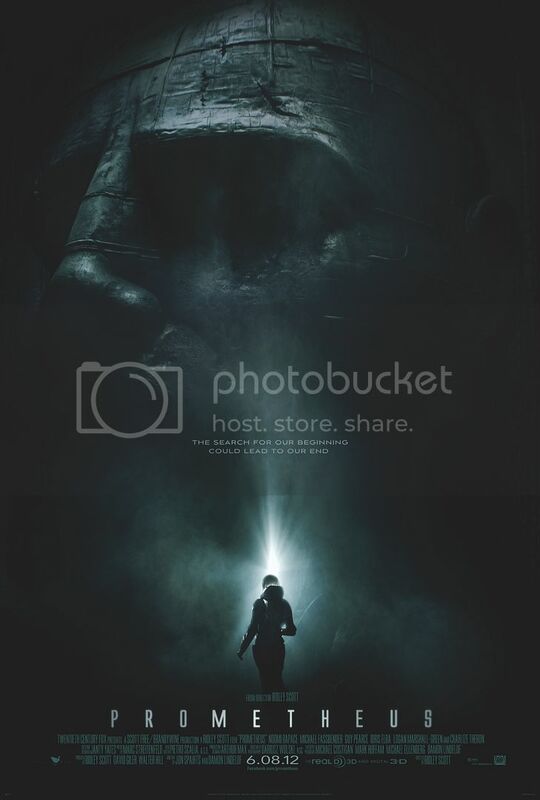 Loosely based on elements from Alien, and originally intended as a prequel to that film, Prometheus meets many of those expectations, especially in visual and action content, while falling short on others. Full ScriptPhD review, under the “continue reading” cut. 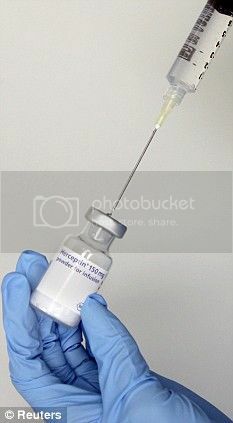 A vial of the breast cancer drug Herceptin. Image ©Reuters, all rights reserved. “It’s like a war. You don’t know whether you’re going to win the war. You don’t know if you’re going to survive the war. You don’t know if the project is going to survive the war.” The war? Cancer, still one of the leading causes of death despite 40 years passing since the National Cancer Act of 1971 catapulted Richard Nixon’s famous “War on Cancer.” The speaker of the above quote? A scientist at Genentech, a San Francisco-based biotechnology and pharmaceutical company, describing efforts to pursue a then-promising miracle treatment for breast cancer facing numerous obstacles, not the least of which was the patients’ rapid illness. If it sounds like a made-for-Hollywood story, it is. But I Want So Much To Live is no ordinary documentary. It was commissioned as an in-house documentary by Genentech, a rarity in the staid, secretive scientific corporate world. The production values and storytelling offer a tremendous template for Hollywood filmmakers, as science and biomedical content become even more pervasive in film. Finally, the inspirational story behind Herceptin, one of the most successful cancer treatments of all time, offers a testament and rare insight to the dedication and emotion that makes science work. Full story and review under the “continue reading” cut. Comic-Con Episode IV: A Fan's Hope poster and all film stills ©2012 Wreckin Hill Entertainment, all rights reserved. As far back as last summer, when pilots for the current television season were floating around, a quirky sci-fi show for NBC called Awake caught our eye as the best of the lot. Camouflaged in a standard procedural cop show is an ambitious neuroscience concepta man living in two simultaneous dream worlds, either of which (or neither of which) could be real. We got a look at the first four episodes of the show, which lay a nice foundation for the many thought-provoking questions that will be addressed. We review them here, as well as answering some questions of our own about the sleep science behind the show with UCLA sleep expert Dr. Alon Avidan. Read through any archive of science fiction movies, and you quickly realize that the merger of pop culture and science dates as far back as the dawn of cinema in the early 1920s. Even more surprising than the enduring prevalence of science in film is that the relationship between film directors, scribes and the science advisors that have influenced their works is equally as rich and timeless. 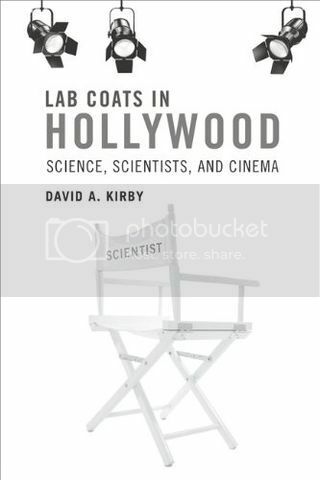 Lab Coats in Hollywood: Science, Scientists, and Cinema (2011, MIT Press), one of the most in-depth books on the intersection of science and Hollywood to date, serves as the backdrop for recounting the history of science and technology in film, how it influenced real-world research and the scientists that contributed their ideas to improve the cinematic realism of science and scientists. For a full ScriptPhD.com review and in-depth extended discussion of science advising in the film industry, please click the “continue reading” cut.